If you feel anxious when you don't have your phone nearby, you are not alone. About 6 billion cellphones are in circulation on Earth. We depend on them for a huge range of services. We text friends, share selfies, order food, get news, watch movies, access clouds, etc. Our cellphones not only help us manage our daily lives, but also connect us to people around the world. Cellphones do it in ways, and at speeds, that didn't used to be possible. While a very personal possession, a cellphone also extends us beyond ourselves. The global network of supply chains for cellphones rests on the backs of miners. Many live in Bolivia, Democratic Republic of Congo and South Africa. The miners are key, as well as factory workers in China and Brazil. The products are sealed and concealed under the sleek glass and metal cases designed in places such as Europe, South Korea and the United States. When you dispose of a cellphone, you throw away costly minerals. They include rare earths, tantalum and gold. Some anthropologists are analyzing how, why and when cellphones are repaired rather than tossed out. The Smithsonian's Joshua A. Bell envisions a future of future of users-as-hackers. We would open up and repair our own phones. You can find out more about the study of our relationships with cellphones. Join us on Thursday, June 4, 2015, for a Smithsonian Science How live webcast. It's titled Unseen Connections: A Natural History of the Cellphone. It airs at 11 a.m. and 2 p.m. EDT on the Q?rius website. Dr. Joshua A. Bell is cultural anthropologist at the National Museum of Natural History. He will appear live to discuss and answer questions. Get teaching resources to support your webcast experience. The question being asked is "Do you suffer from cellphone separation anxiety?" There are more than six billion cellphone circulating around the world. All the cellphones in the world wouldn't be possible without miners. 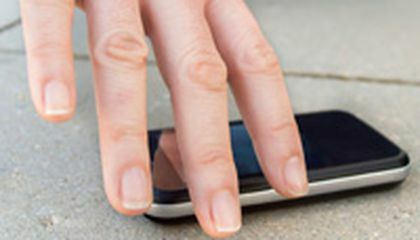 Cellphones contain costly materials such as rare earths, titanium, and gold. I think that it is amazing how there are six billion cellphones in the world. I also think is amazing how the phones we use daily wouldn't be possible without miners. I feel like this is a thing now because people rely on their phones so much now a days. They need them for things such as check the news, weather, or even just the time. In this article you learn about self own separation anxiety and how to tell if you have the syndrome yourself that is cool article you learn about cell phone separation anxiety and how to tell if you have the syndrome I think that is cool but now it is we are able to determine fine certain type of syndrome like south of separation anxiety . Many people grow attached to their cell phones as it provides them with what is going on and what they like. They are made using materials mined from many nations such as Bolivia and the Congo. This article switched subjects halfway through and was confusing. The information however, was useful. 6 billion cellphones are being used today. People have strong bonds with their phones because they use them so much for many different things. So it is not unusual for people to have cellphone separation anxiety. Cellphones have revolutionized communication. Today there are more ways and faster ways than ever. I was disappointed with this article because it had very little to do with cellphone separation anxiety. Regardless, I thought the article was interesting. 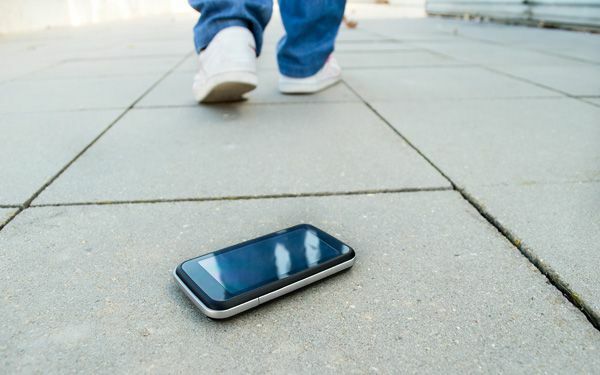 This article is about how you feel anxious when you do not have your cellphone nearby. About 6 billion cellphones are in circulation on Earth. We depend on them for a huge range of services. We text friends, take pictures, order food, get news, watch movies and shows, access clouds, etc. Our cellphones not only help us manage our daily lives, but also connect us to people around the world. Cellphones do it in ways, and at speeds, that didn't used to be possible. While a very personal possession, a cellphone also extends us beyond ourselves. The global network of supply chains for cellphones rests on the backs of miners. Many live in Bolivia, Democratic Republic of Congo and South Africa. Although the article did not have much to do with cellphone separation anxiety, I found it to be very interesting. There are about 6 billion cellphones in circulation around the earth. Many of these cellphone users get anxiety when their phone is not around them. Our phones are used in our daily lives now. They are used to connect us to people all over the world, get news, or to take fun pictures. Anthropologists are studying how cellphones come from and can lead to globalization. I thought this article was interesting but, I thought it would be about the causes and effects of cellphone anxiety. I wanted to actually see if I suffer from this anxiety by reading about this article, but it was more of an ad for people to tune in to watch the smithsonian show, and about other things besides the anxiety. Many people nowadays consider their phone their best friend, their partner in crime. We use our phones to call, text, take pictures, shop online, etc. That's why when you don't have your phone in your back pocket, you tend to freak out a little. We are so dependent on those little screens that we have separation anxiety without them. Now, anthropologists are studying the disposal of phones rather than repairing them. This was an interesting article but wasn't very well written. The title was very misleading and the article itself was confusing. This article is about the topic of the scientific study of Cell Phone Separation Anxiety. On Earth there are about 6 billion cellphones in working circulation on the globe and almost every owner of one depends on it for the majority of their daily needs. People also get very attached to their devices as their are a one way ticket to be able to communicate with friends, loved ones, or to meet someone new! I find this article extremely interesting as it applies to me greatly as sadly whenever I don't feel my phone on my I do indeed have a mini panic attack.